The move was first announced by Thielen’s agency on a post on Instagram, which states the sixth-year wide receiver could earn up to $73 million. Thielen signed a four-year deal worth $19 million with Minnesota in 2017, but he quickly outperformed that contract. In 2018, Thielen ranked eighth among NFL wide receivers with 1,373 receiving yards. He also set a career best with nine touchdown receptions and became the first NFL player to start a season with eight straight games of 100+ receiving yards. Entering his sixth season in the NFL, Thielen has played 80 games with the Vikings and has compiled 293 receptions for 3,897 yards and 19 touchdowns. He’s posted back-to-back 1,000-yard campaigns after becoming the franchise’s first 1,000-yard receiver since Sidney Rice in 2009. 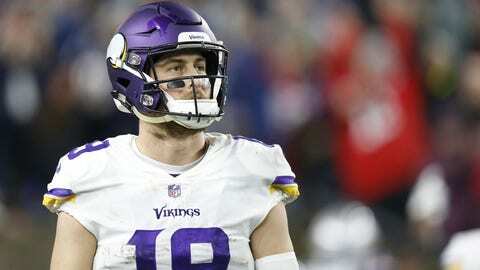 An undrafted free-agent signing out of Minnesota State in 2013, Thielen has risen from the practice squad to special teams to one of the NFL’s most sure-handed receivers. Fellow wide receiver Stefon Diggs signed a five-year deal worth $72 million in 2018, so Minnesota is set at the position for the foreseeable future.